Samajwadi Party leader Azam Khan on 21 September said he had all the "qualities" to become the Prime Minister though his being a Muslim could be a "shortcoming". 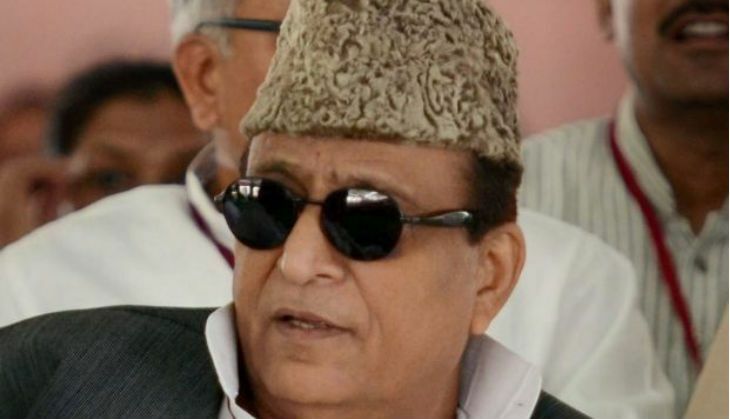 Azam Khan, who is known for his controversial remarks, said, "Make me the Prime Minister of the country and I will show how the country is run. I have all the qualities of being the Prime Minister, I have experience and education." "Barring the fact that I am a Muslim, there is no other shortcoming," Khan said in sarcasm-laden remarks. When asked what policy needs to be adopted by the Centre in the wake of the Uri terror attack, the UP minister said, "No policy will be made on the basis of what I say to deal with a situation like Uri," adding that he will press SP president Mulayam Singh Yadav to pitch for making him the Prime Minister. Asked about his detractors, Khan said they are "barking dogs" who have no effect on him as he continues to do his own work. When asked about an "outsider" in his party, he reiterated Chief Minister Akhilesh Yadav's statement that Samajwadi family is "united". "When the family is united and strong, outside forces will be ineffective," he said, in an apparent reference to Amar Singh being appointed SP General Secetary by the party supremo. Azam's bete noire Amar Singh, who is often described as an "outsider" in the Samajwadi Party, was yesterday appointed the party's General Secretary by Mulayam, in a decision that may be seen as yet another snub to son Akhilesh.